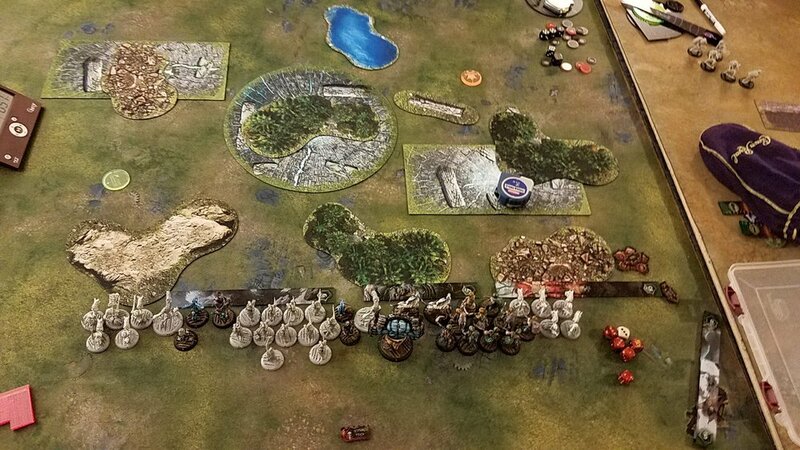 Last year, one of the most important articles I wrote was a piece on how to deploy and anticipate your opponents deployment based off of the scenario and terrain on the table. (You can read that one here if you like). With the terrain shift in SR 2017, I thought it was appropriate to once again revisit this topic and add some thoughts about how to use and abuse terrain. First, we'll have a look at what the SR 2017 packet says about terrain. First and foremost, and it is in bold type: We highly recommend using eight pieces of terrain per table if possible. This is a big deal. Eight pieces of terrain will fill up about 10-20% of the table, which is a large portion when you consider that most of the other recommendations force the terrain into the center of the board. A couple of other pieces that I am cherry picking out. Please note there are more guidelines, but they have less of an impact on the player end and more for the Event Organizer. - Do not place terrain within 6 inches of any table edge. (This means that some terrain can be placed in deployment zones). - Huge based models should be able to interact with the Scenario elements, but that does not mean they should be able to fit everywhere on the table. There are three methods that event organizers use to place terrain. Two of the three place Line of Sight blocking terrain on the centerpoint of the table, and all three of them encourage clustering the terrain into the center third of the board. This is a radical departure from previous editions of Steamroller, and it is vitally important to playing the game. If you are not using these guidelines in casual games, you will have a difficult time adapting to them on the fly at events. Okay, that's out of the way. Let's have a look at some sample tables for purposes of illustration. Some of these are tables set up for casual game night, others for events. I'll label them for clarity sake. These are the kind of tables you should expect to see at events, they've got eight pieces of terrain each, the terrain is smack dab in the middle of the Scenario elements, there's plenty of Line of Sight blockage, and there's something dead center in every single one of these. I can honestly say I can never go back to Warmachine tables that don't present a challenge and opportunity advantage and tactical use. I've seen too many games on a blank table with terrain skirting the edges, no more! More terrain makes the game more interesting, more dynamic, and ultimately more fun. Just like last time, I will be assuming you win the die roll to go first and are playing on tables like the ones above with SR 2017 scenarios. The question of whether to go first or second is of utmost importance. It is easily the most important choice that you will make every game, and choosing incorrectly can make a very winnable matchup into a rough uphill slog. Should I go first or second? This is, again, the most important question you will answer in a game. It is also incredibly dependent on Scenario, terrain, and army composition. Certain Scenarios richly reward going second. Examples of this include Standoff, Spread the Net, and Recon II, since these all have easily accessed Scenario elements that your opponent has not likely contested yet for you to score on your second turn. Furthermore, there are army builds that really like to go second. These include gunlines, since they will likely get to shoot turn one, control casters who want to get a quick scenario lead, and army builds that have little to no way to mitigate terrain and therefore need to choose the side that will be the least difficult for them. Conversely, lists that rely on fast melee forces and need to alpha strike typically want to go first, getting into position at the edges of zones in order to start off an attrition war in their favor. Offensive feats typically want to go first as well, and any army that includes an ambush unit almost always wants to go first so that they can force their opponent to make awkward positioning moves on their first turn. 1) Is there a clearly superior side? This would include a table edge that offers solid cover options against ranged lists (trenches, walls), or one that has a great deal of the approach covered by a Line of Sight blocking feature such as a forest against a huge based model. Almost always, there is a slightly better table edge, but occasionally one is strictly better. If the answer to this question is yes, I tend to prefer going second. 2) Is the Scenario incredibly live? Again, in SR 2017 the most live Scenarios are probably Recon II, Standoff, and Spread the Net, with the Pit II getting an honorable mention since it's possible to score four points in one turn without too much spreading out. If the answer to this question is yes, I tend to prefer going second. Disclaimer: if your opponent has not built a list that can play the Scenario well, for example a mostly unit based army playing on Recon II, or an all beast army on Outlast, I do not consider the Scenario live insofar as your opponent is concerned. 3) Am I depending on a control feat to control my opponents movement? This is a pretty simple one to answer, and you should know the answer because you built your list! 4) What is my victory condition against my opponent? For example, Circle lists have a devilishly hard time attritioning down Harkevich, so they will often play for Scenario or Assassination instead. The three "typical" routes to victory are assassination, scenario, and attrition (which turns into a scenario victory most of the time). At first, going through this list of questions is an investment of time and many mistakes. This is partially why I so highly recommend practicing this skill during game night in addition to tournaments. Most of us do not have the time to play enough tournaments to get all of our practice there, and this component of the game is just as important as every other. Try not to let "I'm sitting here so I don't feel like moving" be your reason for choosing a side (although you can exploit this at a tournament by hustling to your table and setting your stuff down on the side you want - often your opponent will choose to not move even if that's the wrong play). Going first means that you get to deploy first, move first, cast your spells on your things easily, and start dictating where your opponents models move. It also means that your side of the table has worse terrain (it should at least) and that your opponent will get to counterdeploy. There are many things to consider when going first and deploying, here are the ones that I think about the most. 1) What models do I have that counter his models? Where do those models want to go? This is the hardest question to answer, and sometimes answering it doesn't help you at all if your opponent has less of a deployment strategy than you do since they'll plonk models on the table pell mell. A good example of this is Karax vs. Winterguard Rifle Corps. Karax are a fast Shield Wall unit that cannot take blast damage and have reach. They naturally want to fight off against a low POW ranged unit that doesn't want to be engaged. An excellent idea at the beginning of the game is to put the Karaxdown across from the defensive terrain feature that your opponent probably wants to use to hide his unit of Rifle Corps in (like a trench) and then let them either deploy their models there anyway and give you the advantage in the face - off, or deploy them elsewhere. If they do, then you have partially negated their advantage in choosing the defensive terrain. 2) What terrain on my half of the table is getting in my way? Simply put, you cannot deploy your non-pathfinder heavies right behind a large swath of rough terrain if you do not have a pathfinder spell or ability and expect them to show up to the fight on time. 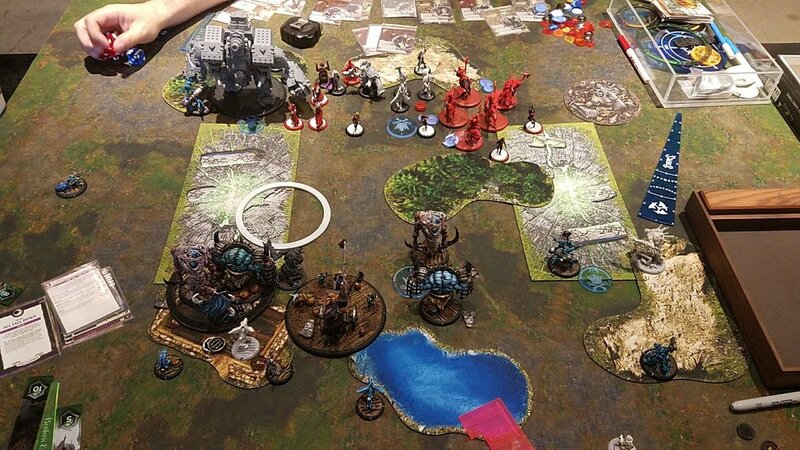 Don't give your opponent the ability to ignore some of your army by deploying them in line with terrain features that will negate their influence on the game. 3) What terrain on my half of the table is really beneficial? Hills and trenches are casters best friends. If your models have pathfinder and you've got a bunch of rubble to hang out in, that can be good as well. Models that are immune to fire/corrosion or have flight can also make great use of burning earth or acid pools by sitting on or in them against infantry. 4) How can I dictate where my opponent puts his models in both deployment and turn 1? Well-built lists have tools that are designed to take down certain kinds of targets. Nihilators blend infantry, Dawnguard Sentinels murder heavies, Warjacks murder other Warjacks etc. If your opponent has models that are designed to take down yours, put defensive terrain between your models and your opponents deployment zone. Utilize walls and rough terrain against models that do not have pathfinder, create difficulty in drawing line of sight for ranged attacks unless the attacking model is exposed. Make the terrain work for you, it's another tool in your army. If the first player should make the terrain work for them, the second player should be making it sing. You got to choose the table edge, so you had better have chosen the side with the best possible terrain. As when going first, there are a few questions that I always ask myself. 1) Which of my models really prey on his models, and where do his models need to go? You can control the board just by deploying. Some good examples of this are Widowmakers, which are an Advanced Deploy unit wielding range 14, RAT 7 Sniper guns. Placing these across the table from a Shield Wall single wound unit can basically insure that the unit won't make it to the fight. Models with good guns are the best at doing this, but it holds true for all kinds of things. Counter guns with stealth models, use your magical weapons across from Incorporeal things. You get to see everything your opponent does before you have to commit your models to the table - use that to your advantage and make life hard for your opponent from the first turn. 2) I got to choose the terrain, how am I exploiting it? This can be as simple as "there's a great wall right there, I'm going to stick my Warcaster/Warlocck behind it all game" and as complex as using rough terrain to turn your shorter threat range models with Pathfinder into models that significantly out threat your opponent. 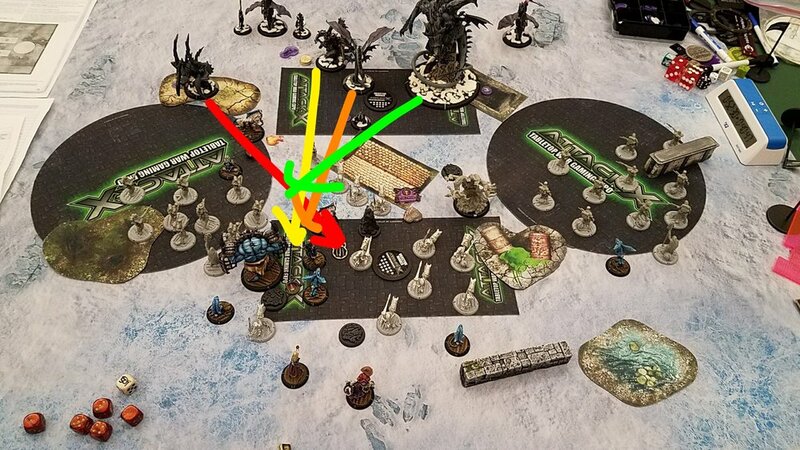 Use forest to deny your opponent line of sight to your things, abuse acid baths or fire pits to anticipate where your opponent is going to have to move his models. I'll have some examples of this in the sample table section, but it's important to anticipate where your opponent is going to move based off the terrain before the game even starts. 3) What does my opponent want to do with his early turns? What will he sacrifice to prevent me from executing my plan, what can I sacrifice to prevent him from executing his? Ah, the really important questions. This piece of the puzzle relies on you knowing what your opponents list does, and what it wants the primary win condition to be. Some lists are excellent at attrition. Others can swing the tempo of the game massively and go for big Scenario pushes. Still others are a constant threat of assassination. 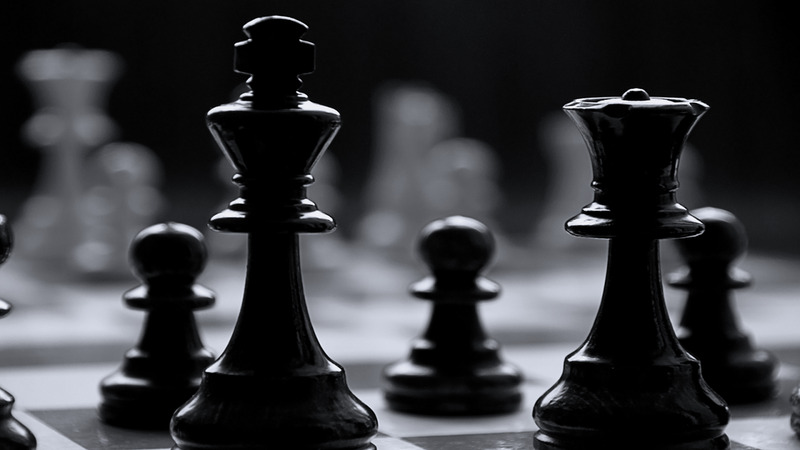 Knowing what your opponent is going to do ahead of time is invaluable. Here are a few observations that I've made about the various game plans. Attrition lists tend to spread out. They sacrifice the ability to put a ton of firepower into one part of the table for the ability to put damage wherever they need to. SR 2017 kind of forces you to do this if you don't want to lose on Scenario, but there are some lists that definitely telegraph it by sort of walking across the table in a big line. Case in point, check out this Heretic list (click to embiggen). Lots and lots of dudes marching across the table in a wide line. You'll notice that the center of the line tends to have a few more pieces so that they can flex one way or the other as the game demands - this is pretty common. Attrition always has a secondary win condition. It's usually Scenario, as in the above picture, but occasionally it can be for assassination. Have a look at this game vs. Ghost Fleet at Attack X. 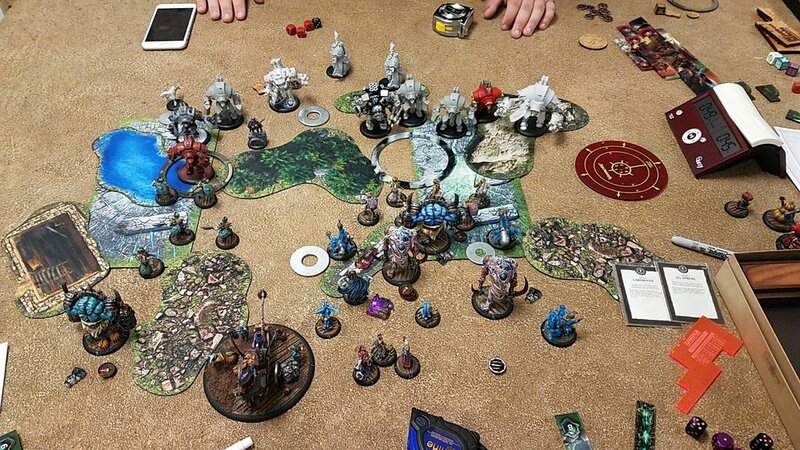 Again, we have a spread out force taking up most of the table, but if you notice, the Stalkers in the center with the Wraith Engine can easily flip over to assassination mode, projecting a massive amount of no-fly zone for the opposing list. Assassination lists tend to lead with their caster or the models doing the assassinating.. Here are a couple of examples. Look at all the force they can exert into one part of the table. Compare that with the Heretic list above, and it's pretty apparent that these lists really want to go for an all-in kind of play. In the picture on the left, notice how the Heretic is sitting WAY far away from the Butcher - that was very deliberate! Four or five inches closer, and I would have lost that game easily. Your opponents list-build might telegraph an assassination based list, but the way they position their models will usually tell you what they want to do. Scenario focused lists in 2017 tend to be extremely balanced, with a good mix of solos, units, and warbeasts or warjacks in order to maximize their scoring potential. In practice, they might play or look like an attrition list, but when your opponent starts scoring 2-3 points a turn, it's often because they built a list designed to take advantage of the scenario elements. This is one of the parts of SR 2017 that is really difficult to convey in writing, but it is a very different beast than previous scenarios, and building with Scenario in mind is one of the hallmarks of a great list. Rather than playing specifically for Scenario now, most lists will do it as a result of threat projection (assassination) or by attrition. I believe I went second in this game, and I chose the bottom edge for a number of reasons. First of all, there's a very nice pair of defensive terrain on my half, including a large hill and a wall/linear obstacle. Secondly, my opponent is going to have to come screaming through the middle of the table to get to me OR he's going to have to go around the central forest on the right and basically ignore the middle of the table and thereby ignore the Scenario. Notice how after his turn 1 run, he's clumped up in the middle of the table to deal with the rough terrain? I've anticipated this, and put both of my units of ranged models on the left with broad open sightlines to his army. Let's have a look at a couple turns later. 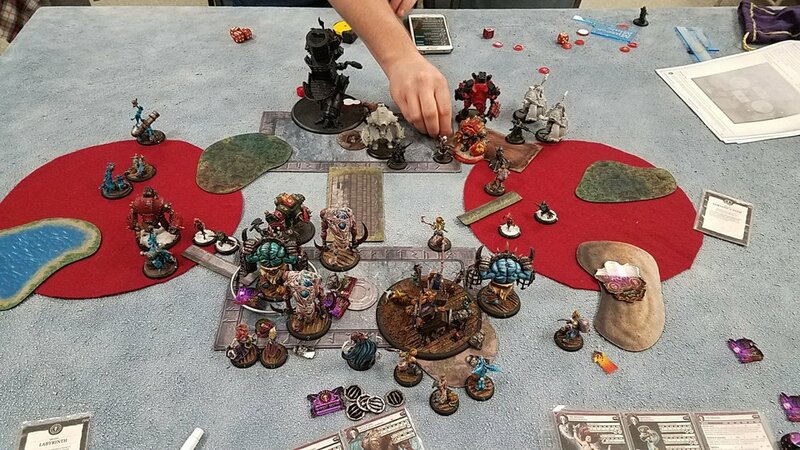 My opponent had to squeeze his models through a relatively small gap, clumping them up, restricting where they could move, and basically giving me a ton of room to work with. My pre-game plan paid off pretty handsomely by allowing me to steadily kill his army without exposing very much of mine. Here, I am on the receiving end of good terrain choices. I don't have any pathfinder to speak of in my mostly melee list, and so I will be forced to push through two fairly small gaps on the table. This will clump up my models, and by the very nature of clumping up, restrict my movement by making my charge lanes awful. Let's have a look at a few turns later. Hey look at that, I've had to go through two little holes in the terrain to get at him, and as a result I am right in his line of fire. Only a well placed Shroud Arcana prevented my army from getting blasted off the table on my opponents next turn. Once again, I was on the receiving end of some great side choices here. My opponent is playing an assassination list based solely around sprays, and as such, the only piece of defensive terrain he doesn't want me to have is a Hill in the middle of the table. He also can use the central forest to block Line of Sight to most of his army while setting up for his assassination run. If I had put the Dreamer on the hill on my side of the table, I would have been unable to affect the left top corner, which would have been a significant problem on a Scenario he can so easily contest on. Also, the water feature on my half was a giant pain to deal with the entire game. Much like in tennis, where the serve is the most important stroke to master since it's the only one you're guaranteed every game, your deployment and potential choice of table edge is the singular choice you make every single game, regardless of your opponent, their list, or the scenario. Using terrain can essentially let you ignore pieces of your opponents army, letting you feel like you're playing a 75 point game against a 50 point list. Use the terrain to your advantage, make smart deployment decisions based on your opponents models, and you will be surprised at how much better your games end up being. Make the correct decisions before the game ends, and you'll be well on your way to victory before the dice have rolled.